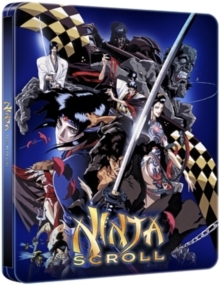 Madhouse Studios anime following the adventures of a ninja who travels the land hiring out his services for gold or a worthy cause. 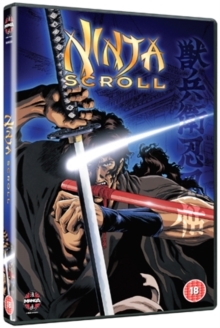 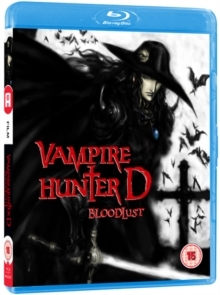 Jubei Kibagami (voice of Kôichi Yamadera) finds one such cause when he stumbles across Kagero (Emi Shinohara), a female ninja who is the lone survivor of a highly skilled group who were sent to investigate suspicious activity involving Tessai (Ryûzaburô Otomo), a formidable warrior with the ability to turn his skin to stone. 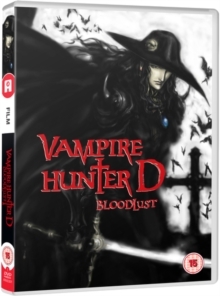 Jubei agrees to help Kagero but may have cause to doubt his decision as he finds himself facing an increasingly tough array of enemies. 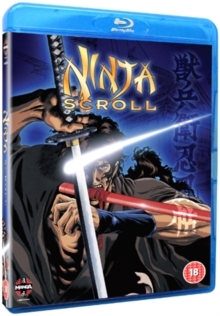 When he discovers that Tessai is affiliated to the Eight Devils of Kimon, a group of ninjas led by his oldest foe Himuro Genma (Daisuke Gôri), it is clear that Jubei will require every ounce of his cunning and swordsmanship to survive the quest.